Two years ago, Disney fans were introduced to what has become one of our favorite annual traditions: the Epcot International Festival of the Arts! 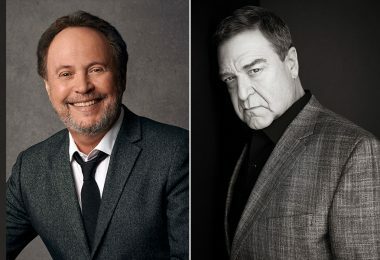 Starting January 18 and continuing all the way through February 25, we’ll celebrate the third celebration of art, entertainment, and food all across World Showcase and Future World. 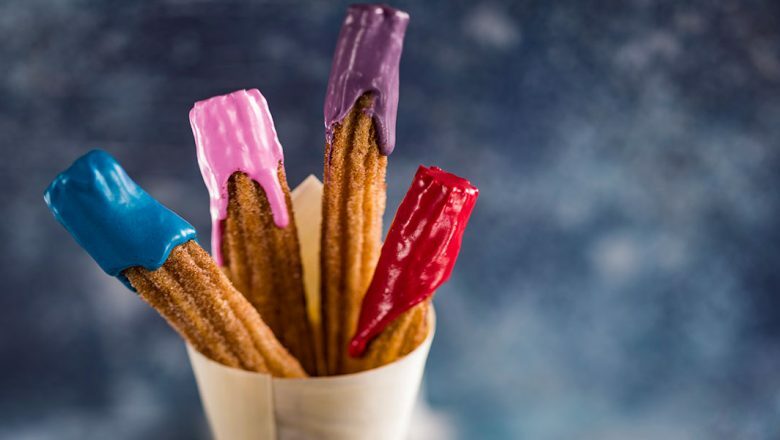 The festivities are just around the corner, so start making your plans now for a fun, artsy, and delicious visit to Walt Disney World Resort. 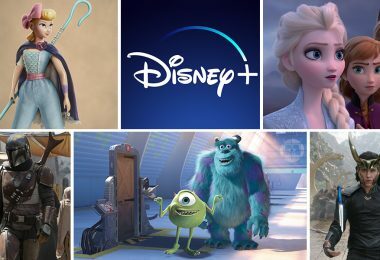 Disney artists old and new come together to showcase their work and provide guests a close-up look at the brilliance of the colorfully curated collections. Galleries are open daily during the festival from 11 a.m. to 9 p.m. and Epcot admission is required. Check out all of the galleries you can visit below. Explore the artistry of American Indian communities from seven geographic regions across the United States. Delve into the origin and evolution of “kawaii,” Japan’s cute culture. Check out the unique designs of time-honored crafts. 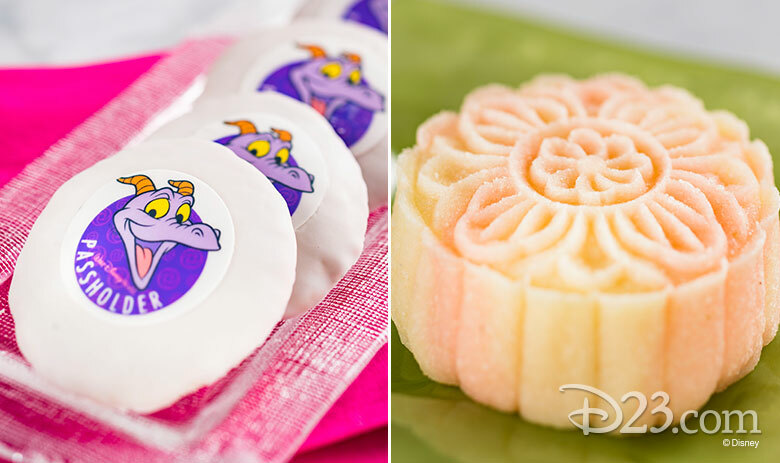 Discover the wonders of the Shanghai Disney Resort. Celebrate the artistry and traditions of Día de Muertos. Explore the “Gods of the Vikings” exhibit, celebrating legendary gods and goddesses and featuring authentic Viking artifacts. See forced perspective chalk art with a three-dimensional look and watch imaginative artists re-create works by famous masters. Seminars, Workshops, Photo Ops and More! 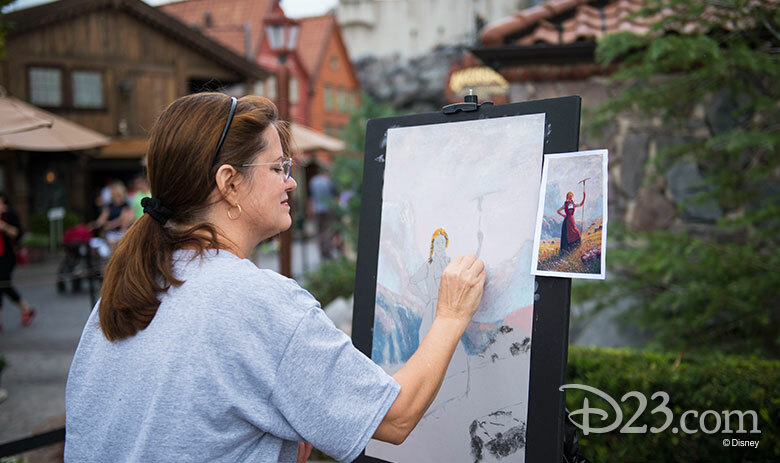 There are so many ways to channel your inner Picasso at the Festival of the Arts, from complimentary seminars where you can hear from popular Disney artists and illustrators, as well as local artists, as they talk all about their craft, to actually putting pencil (sans eraser, of course) to paper yourself in a hands-on workshop (available for an additional fee)! 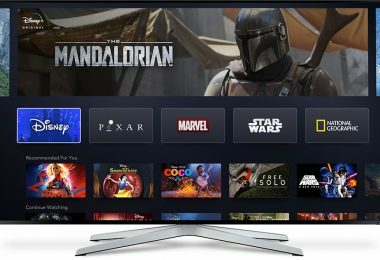 No matter which course you choose, experts are on hand to share tips and tricks. Check back at the Festival’s official website for the latest updates on all the seminars and lessons you’ll be able to join! There’s no better time than the present to strike a pose and create an everlasting memory. From George Washington crossing the Delaware to that famous Scream, there are so many masterpieces we know would be subtly improved with you “stepping into” them. 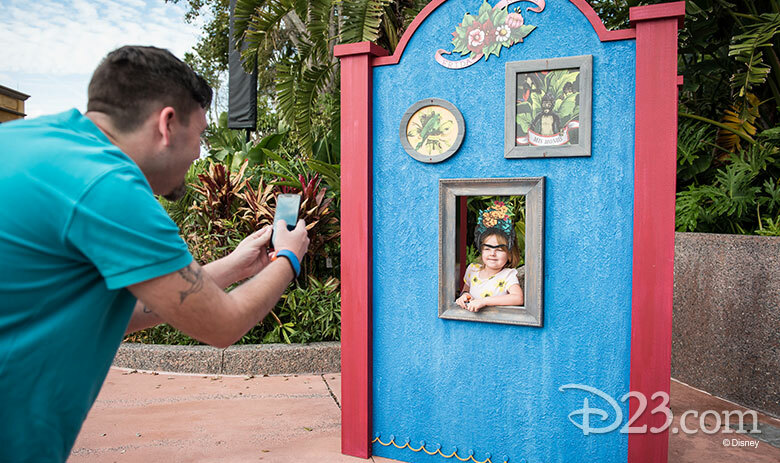 Get ready for your close-up, because there are so many fun (and artistic) photo ops scattered around World Showcase for you to take advantage of, including a brand-new Peter Pan storybook in the United Kingdom! It wouldn’t really be a festival without the food! All throughout World Showcase and Future World, there will be food as far as the eye can paint! Food Studios will be open daily throughout the festival from 11 a.m. to 9 p.m., with options to satisfy every painter’s palate. While your eyes will certainly experience masterpieces at every turn, so will your taste buds! Click here to discover all of the special festival foods that are sure to take you on an extravagantly edible adventure. Visual arts… culinary arts… The show certainly does go on, as this festival just keeps getting better with its stellar performing arts offerings. All the world’s a stage and everywhere you look there’s something happening. 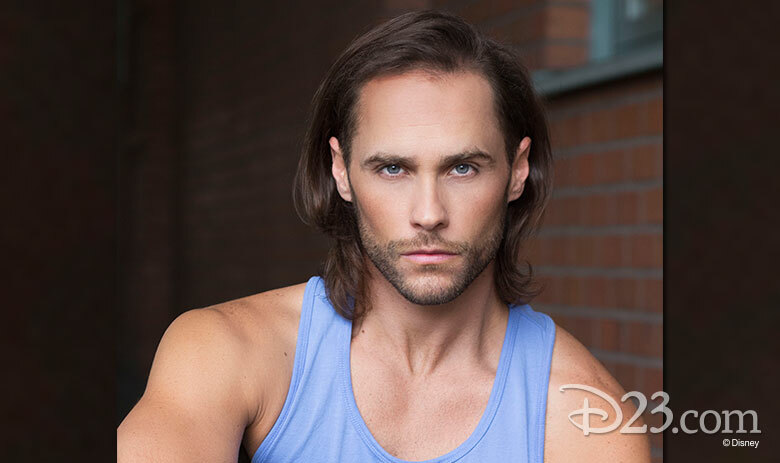 You’ll be able to experience Broadway-inspired performances of all your favorite Disney classics from a talented lineup that includes Arielle Jacobs & Adam Jacobs, Heidi Blickenstaff & Gavin Lee, and Ashley Brown & Josh Strickland (pictured above). Check out the full schedule of performances here. 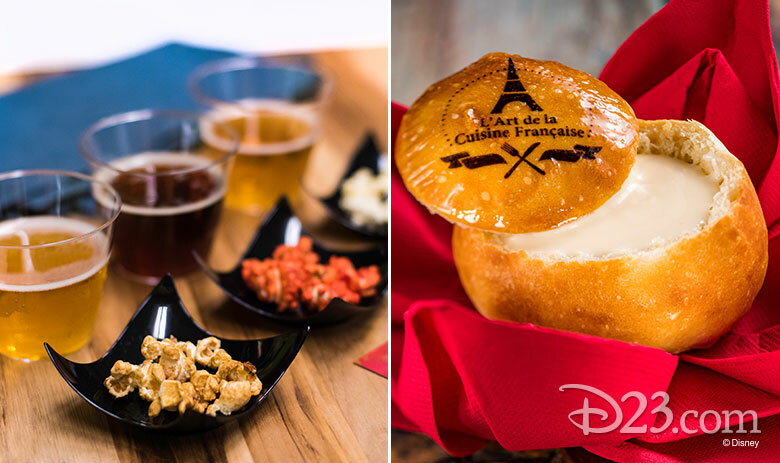 If dining also sounds like music to your ears, then check out the Disney on Broadway Concert Series Dining Package and prepare to savor mouth-watering food offerings as well as the show-stopping tunes. The festival presents opportunities for all members of the family to express their creativity. Kids of all ages can join in on the artistic action whether it’s by learning or doing! With tons of interactive activities, there are little and big ways for them to get involved. 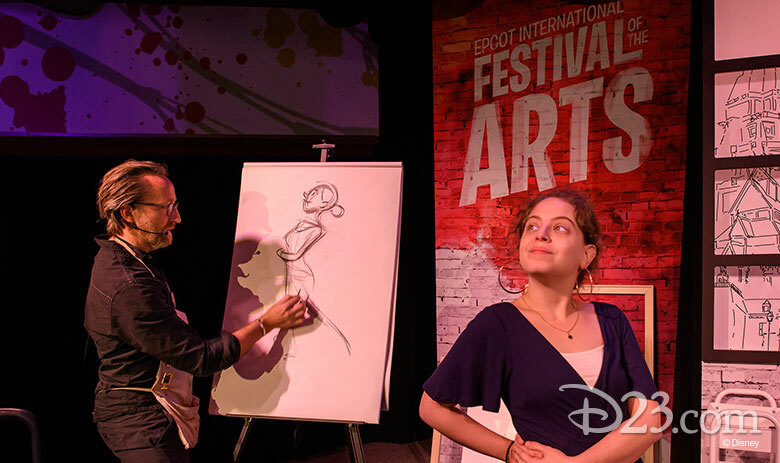 They can stop by the Animation Academy to experience, firsthand, the magic of Disney animation. Or if you’re looking for something a bit more active, send your little ones on a magical scavenger hunt with Figment! You can purchase the map and stickers for your little world explorers at Odyssey Festival Showplace, Pin Central, Disney Traders, or World Traveler, and then the search begins. 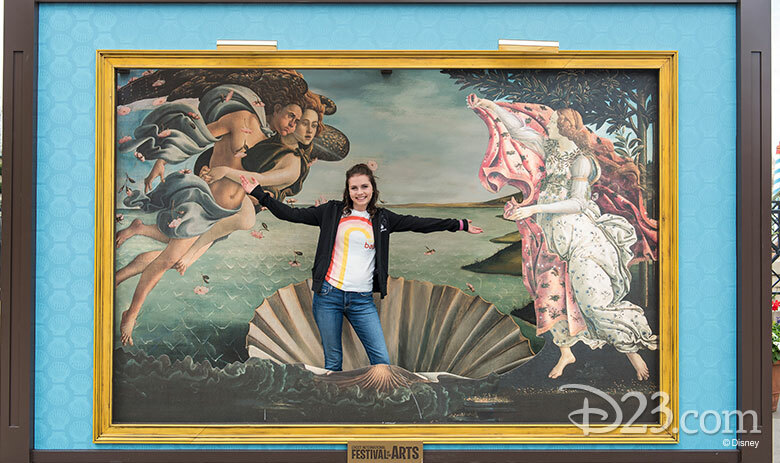 Look for Figment hiding within famous pieces of art! When you’ve finished your hunt, return your map to Disney Traders for an artful surprise! And if you find that you’ve been bitten by the creative bug, there are still more outlets to explore—from putting brush to paper at the Expression Section: A Paint by Number Mural or at the Kidcot Fun Stops, where young artists can create new masterpieces to hang on your refrigerator once you get back home. When the weekend comes to a close, one of the best ways to commemorate all the places you went and the things you saw (and ate!) is by bringing home some of the festival’s limited-edition merchandise. All of the colorful and fun Festival gear will be available to purchase around Epcot, from totes to mugs, trading pins, and not to mention the art itself!! 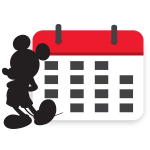 Whether if it’s for you or a friend, it’s the perfect way to capture a perfect week.